If you run a business, you have likely performed a competitive analysis of other companies, but did you know that you can do the same for your local SEO? In fact, when you are creating an SEO strategy for your online marketing, competitive research can help you see what your competitors are doing and make your company stand out against theirs. Once you have developed your own SEO and social media strategy, performing competitive analyses can be the next step to success. There are many benefits to using competitive research for your online marketing and SEO strategy. Local search is crowded, there are many businesses trying to get to the top of Google’s search engine rankings. This means that the more targeted approach that you use, the better you can stand out against the crowd. Collecting data from your competitors, and combining it with your own knowledge, can give your business an edge. By doing competitive research and looking at other businesses’ SEO strategies, you can gain key insights into your industry, field, and customers. By looking at the competitors with the best web presence, you can determine what methods they have used to succeed, as well as which approaches seem to work best with your customers. So now that you know the importance of competitive research, how do you go about implementing a competitive analysis for your business? There are some proven strategies that you can use when beginning your research. 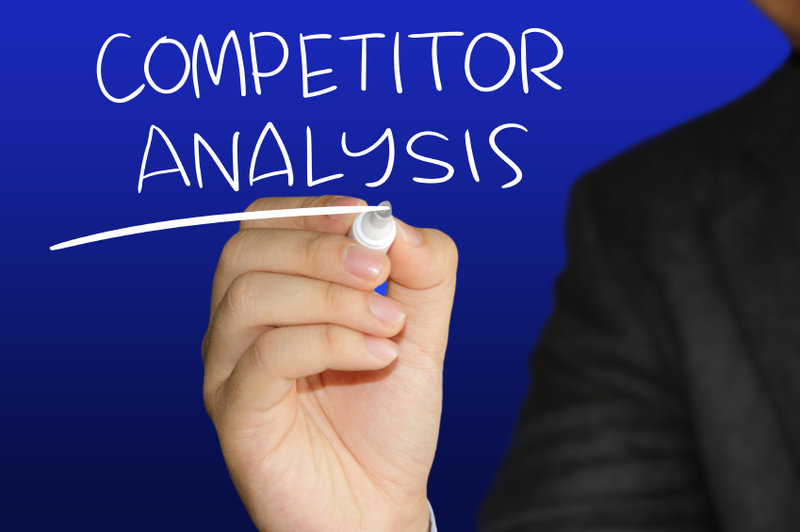 To do a competitive analysis, you need to determine which competitors you should be targeting. Usually, five to 10 competitors should be used for your analysis. Some of these should be made up of industry-leading companies in your field, and you can use sites like Alexa.com to find some of the highest-traffic sites. However, for local searches, you also want to focus on businesses that will be competing directly with you in your region. You can find these competitors by searching for relevant keywords related to your business. Or, you can use a paid site like SEMRUSH.com, which will determine who your major competitors are. SEO companies can also determine this for you. Local citations are essential to boosting your search engine rankings. If competing businesses are high in Google’s search engine ranking, that means they have likely been using local citations effectively. Determine which websites they are using for their citations. Google’s algorithms are unknown, but there are certain sites they favour over others. Using these quality sites for your listings and citations will help improve your rankings. Next, you should perform a landing page analysis. Landing pages are the first thing customers see when they click on your website. A good landing page will draw users into the site, creating conversions. A bad landing page, on the other hand, will usually turn someone away within seconds. Look at their landing page, including content, headlines, design strategies, visuals (photos, multimedia), and links to see what strategies they use. Look for good SEO practice, such as appropriate use of their location and other relevant keywords. Performing a back-link analysis is also important, as this plays a major part in search engine rankings, as well as traffic to your site. Determine where your competitors’ traffic is coming from. Once you have determined which sites are involved in their backlinks, you will have a good list to target for your own backlinks. Social media also plays a big role in online marketing success by driving traffic to a website, creating fan bases, and helping improve search engine rankings. Take a comprehensive look at which social media sites your competitors use. Determine which ones drive the most traffic and generate the most activity, as this can vary wildly depending on the industry and your customers. By following the lead of the most successful social media fan pages, you can devise your own effective social media strategy. Numero Uno Web Solutions is a provider of search engine optimization (SEO) solutions to startup and small companies from all industries and fields. We stay on the pulse of industry changes and adapt our practices to produce quality SEO and content marketing plans to fuel the growth of businesses across communities. Our precise, studied methods have benefited industries and businesses across Toronto, Richmond Hill, Vaughan, and more. Our success has even allowed us to extend our reach and offer SEO services to local businesses in Texas, Massachusetts, and Florida as well. For any local business looking to improve their SEO profile or local blog, we are just a call away at 1-855-SEO-XPRT.